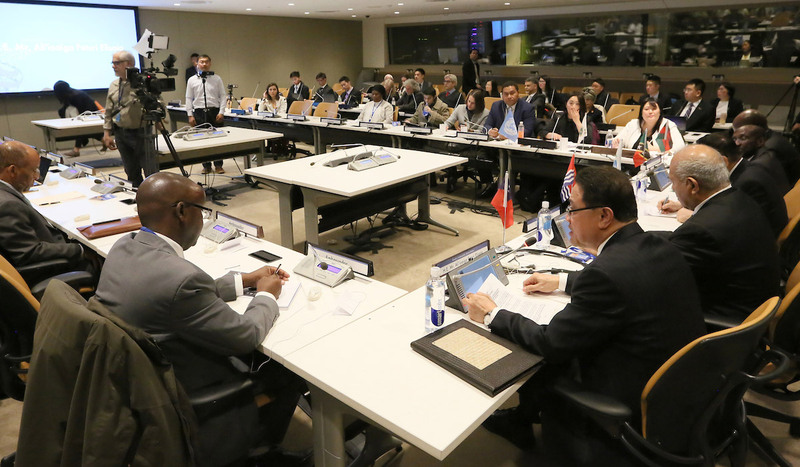 Love and peace resonated at the UN on April 5, 2018 as the Federation of World Peace and Love (FOWPAL) co-organized the World Peace and Love Conference with the Permanent Mission of Kiribati to the UN and Association of World Citizens at Conference Room 11. 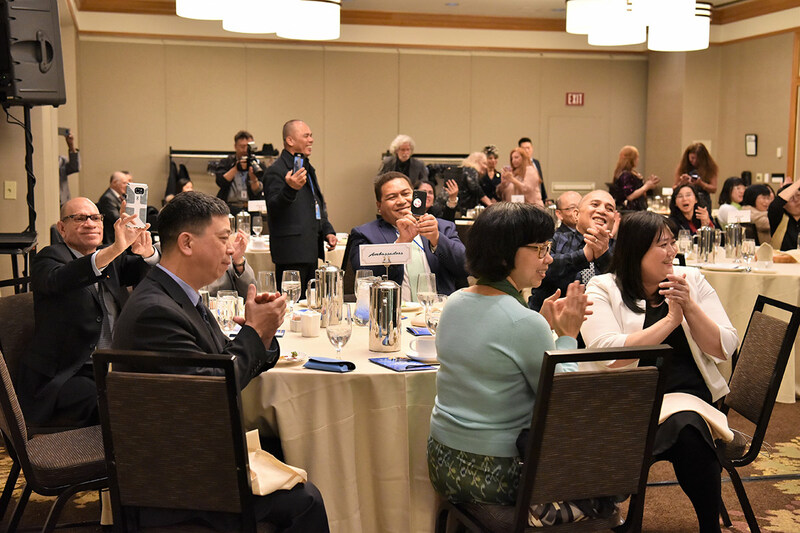 Honored guests from 32 nations, including representatives from 22 missions to the UN and a consulate general, attended the event, sincerely exchanging their views on love, peace, and sustainable development. 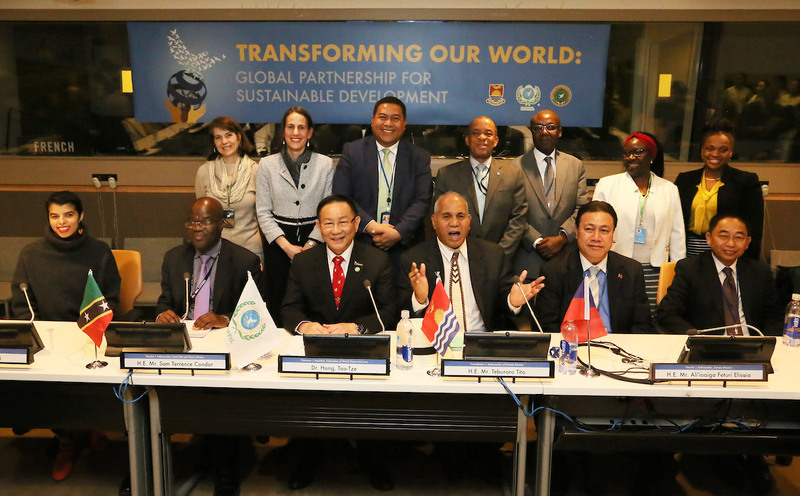 Ambassadors and deputies from various Missions to the UN join the panel for a group picture at the World Peace and Love Conference with the theme of Transforming Our World: Global Partnership for Sustainable Development. 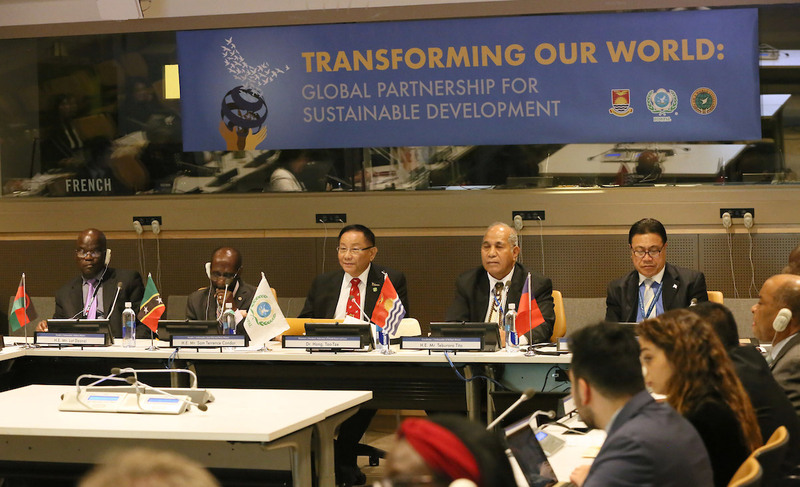 The event was co-organized by FOWPAL, the Permanent Mission of Kiribati to the UN, and the Association of World Citizens on April 5, 2018. 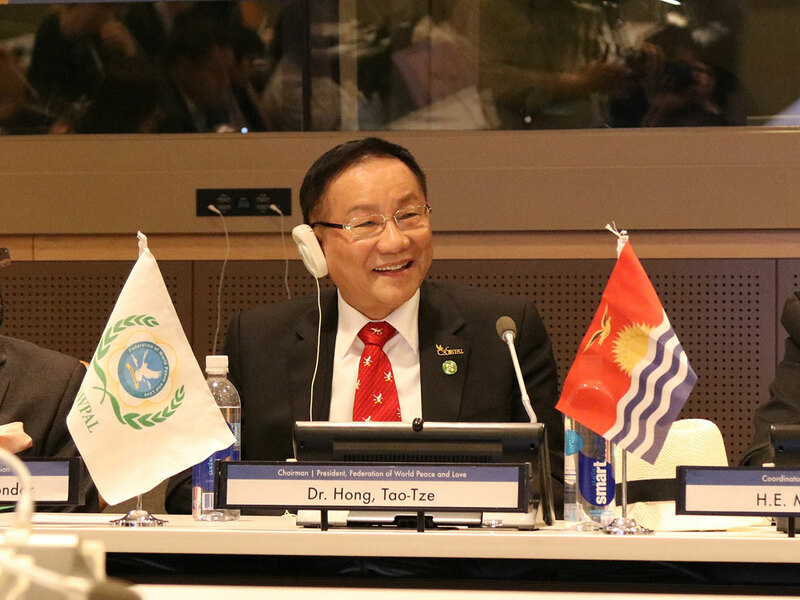 Chair of the World Peace and Love Conference, Dr. Hong, Tao-Tze, President of FOWPAL, emphasizes that conscience-based global solidarity is essential to sustainable development. 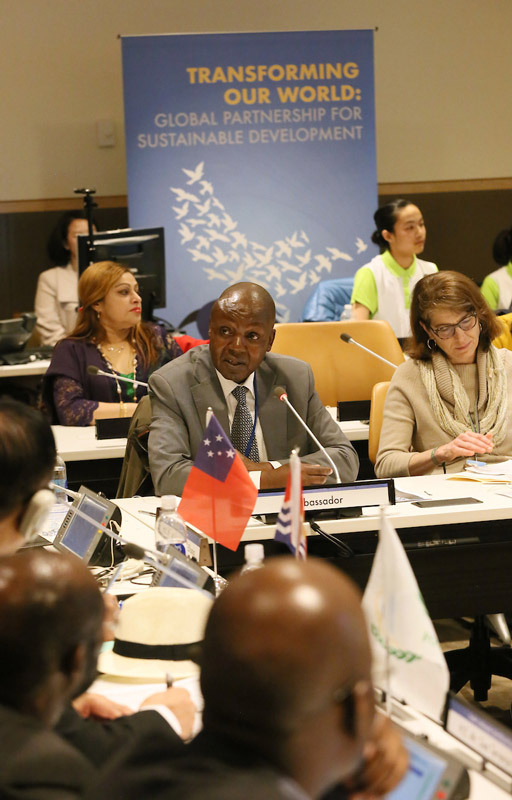 Coordinator of the World Peace and Love Conference, H.E. 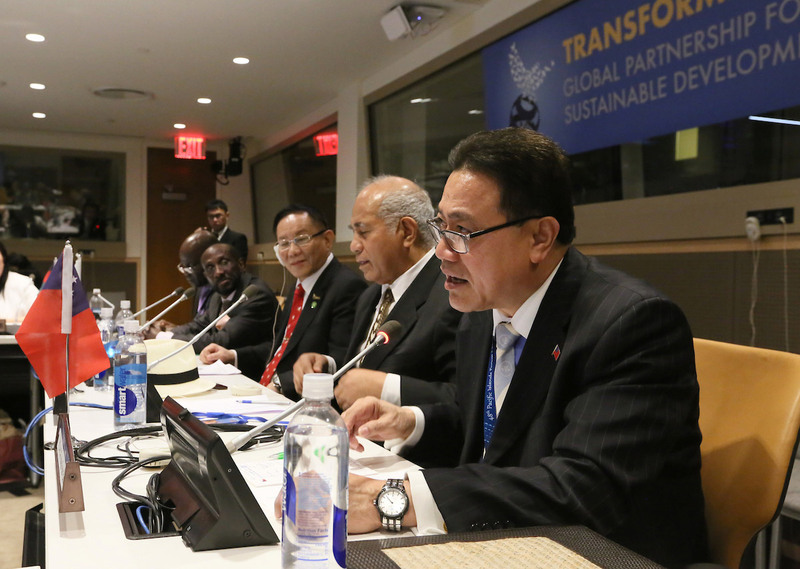 Mr. Teburoro Tito, Ambassador of Kiribati to the UN and US, moderates a panel discussion on love, peace, partnership, and sustainable development. 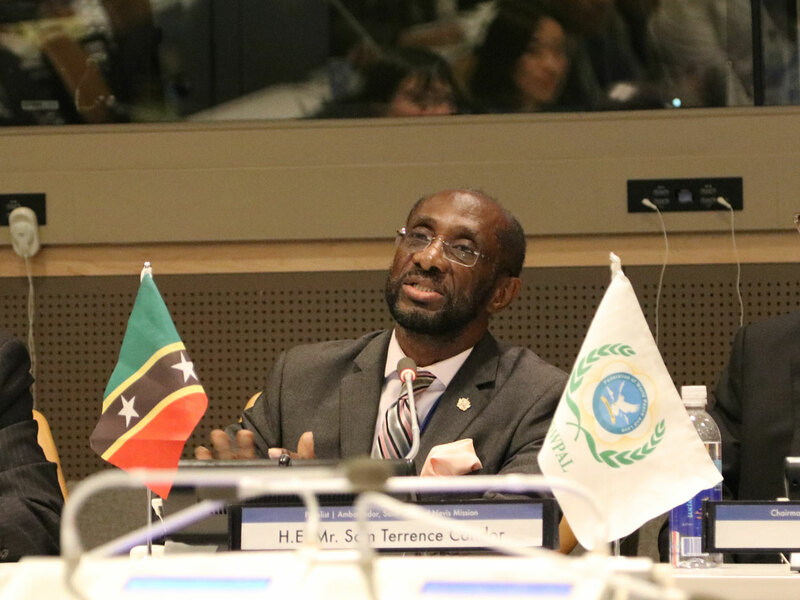 As a panelist, H.E. Mr. 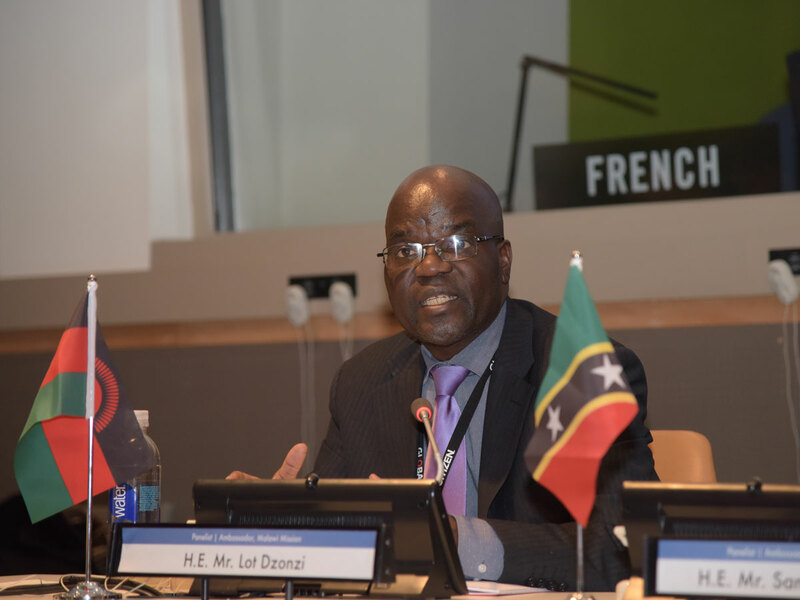 Lot Dzonzi, Deputy Permanent Representative of Malawi to the UN, speaks on partnership and sustainable development. As a panelist, H.E. 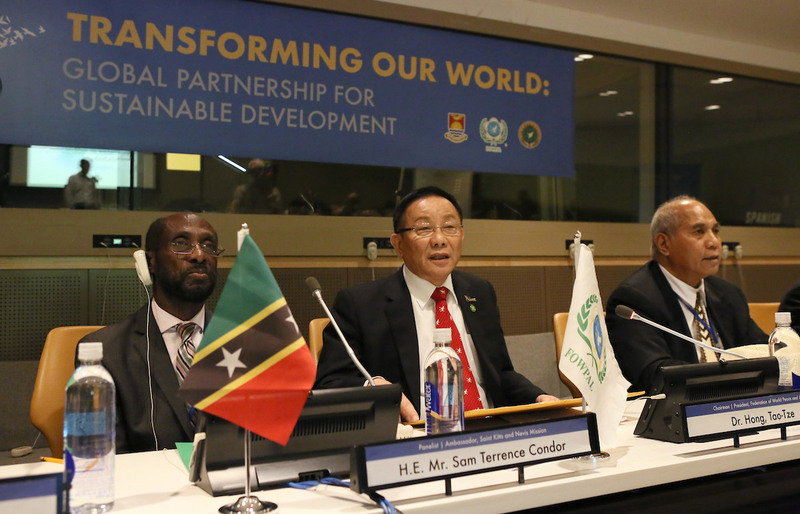 Mr. Sam T. Condor, Ambassador of Saint Kitts and Nevis to the UN, speaks on partnership, love, and peace. 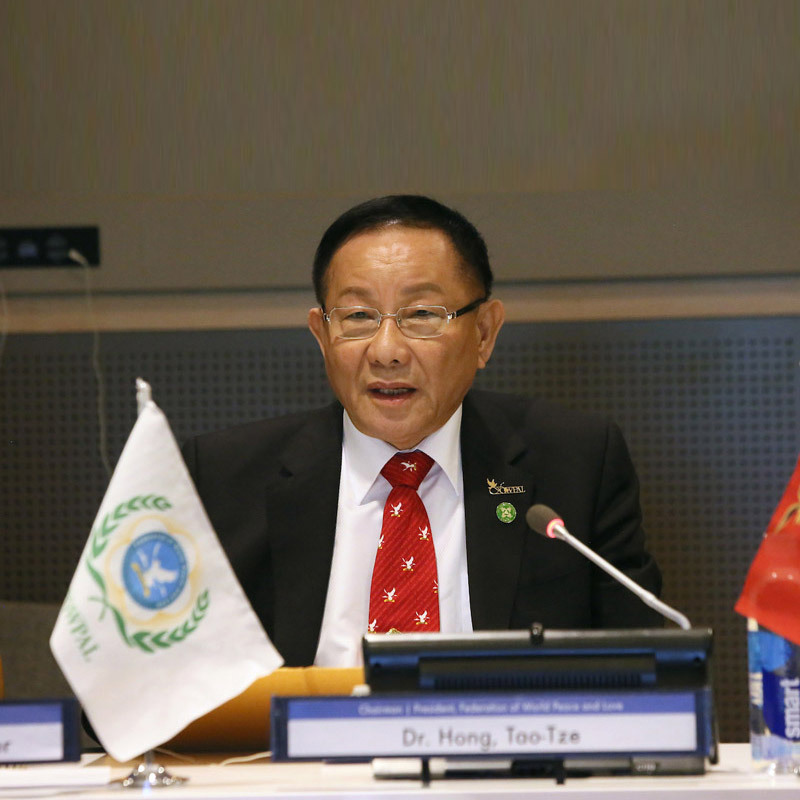 As a panelist, H.E. 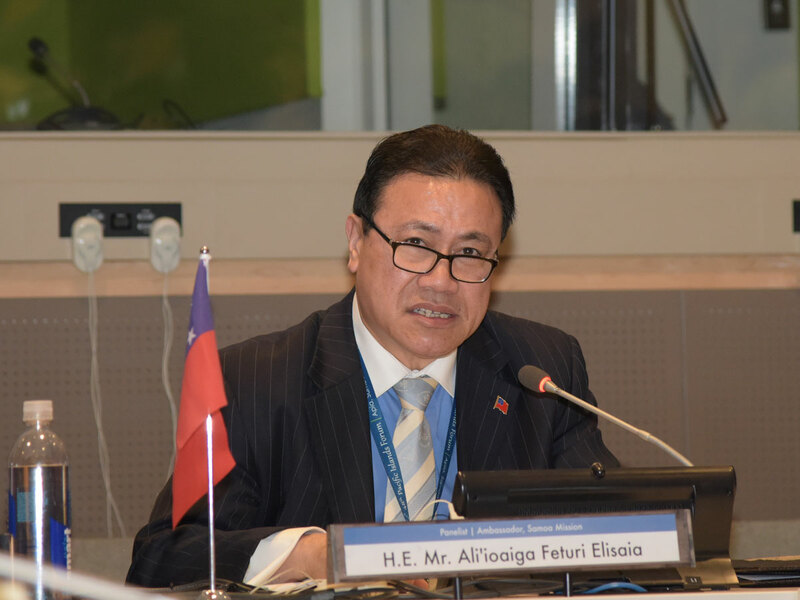 Mr. Ali'ioaiga Feturi Elisaia, Ambassador of Samoa to the UN, shares Samoa’s experience in partnership and sustainable development. H.E. 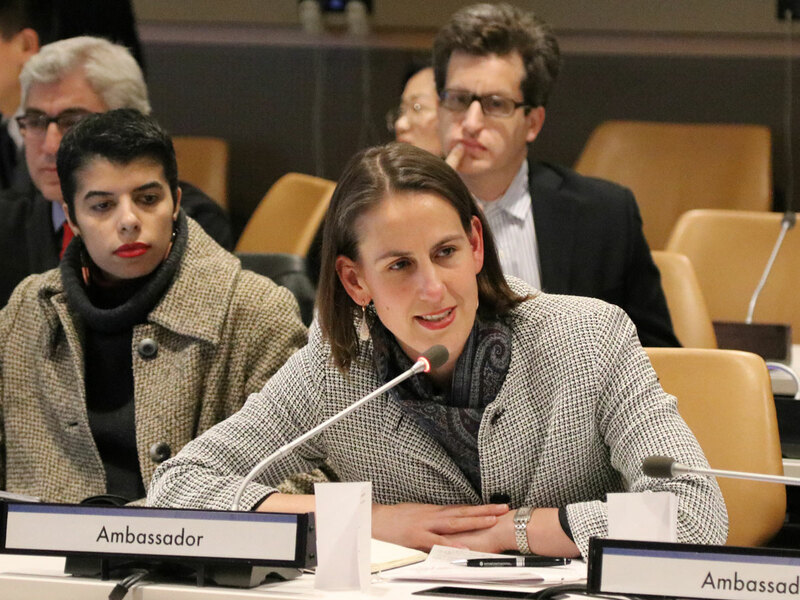 Ms. Tegan Brink, Deputy Permanent Representative of Australia to the UN, speaks on love and peace during the panel discussion. H.E. 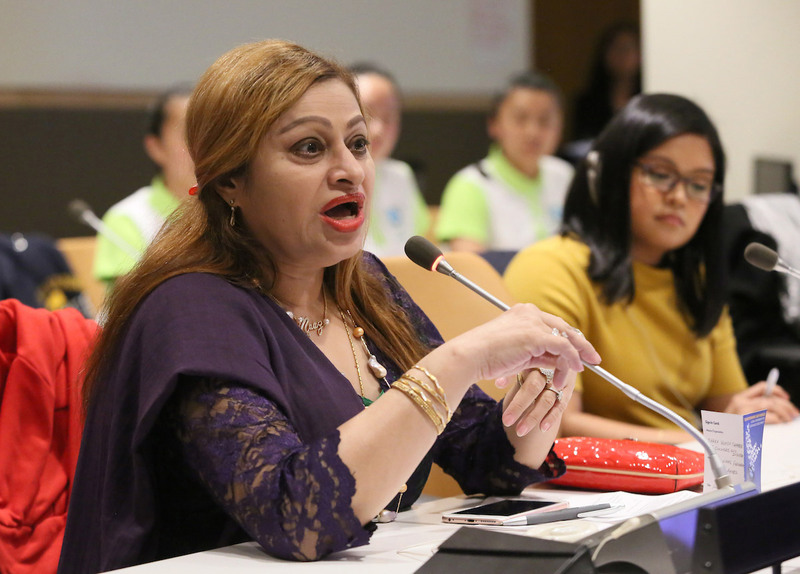 Mrs. Hayfa Ali Ahmed Matar, Deputy Permanent Representative of Bahrain to the UN, shares her insight on love and peace during the panel discussion. H.E. 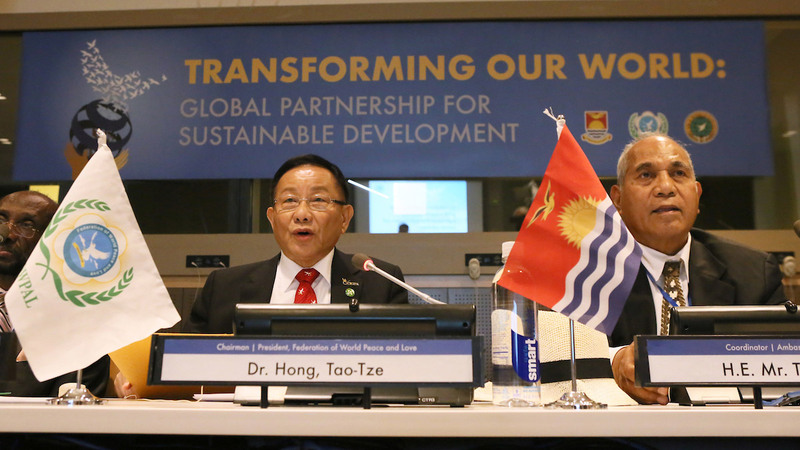 Mr. Samuelu Laloniu, Ambassador of Tuvalu to the UN, listens as Dr. Hong, Tao-Tze, President of FOWPAL, delivers a speech. 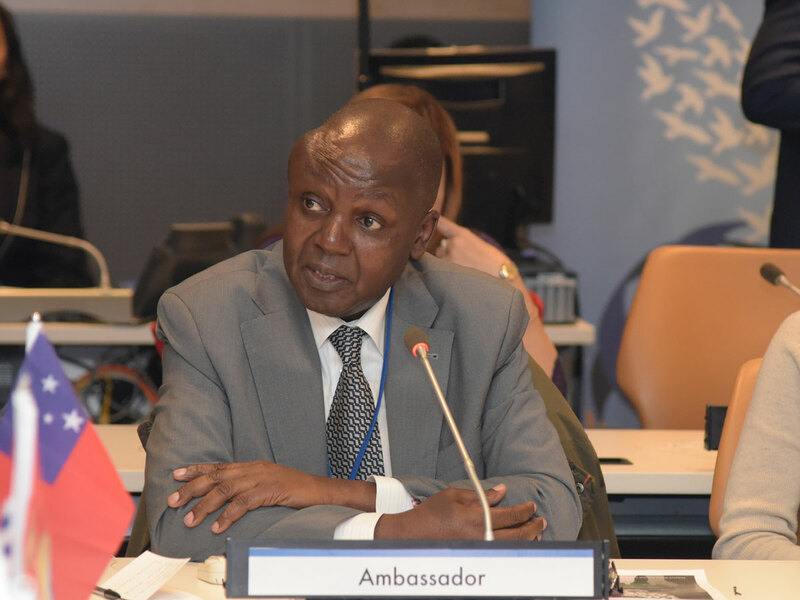 Mr. Kingstone Ziyera, Minister Counsellor from the Permanent Mission of Zimbabwe to the UN, shares his view on peace and sustainable development during the panel discussion. H.E. 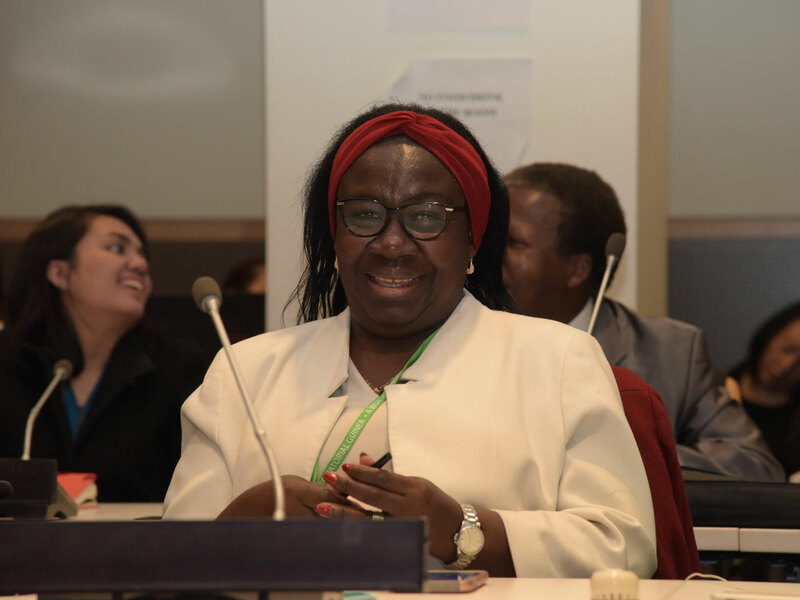 Ms. Amparo Mele Colifa, Deputy Permanent Representative of Equatorial Guinea to the UN, smiles at the panel discussion. 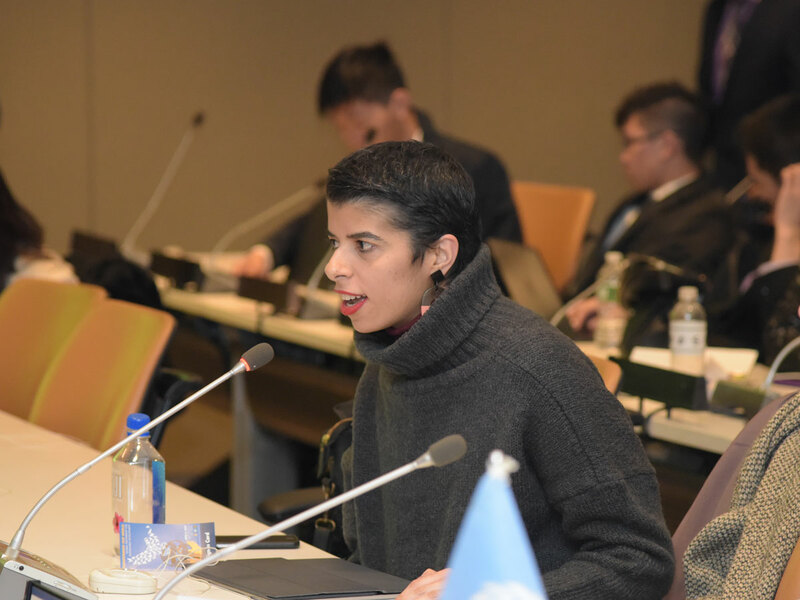 Ms. Stefanie Amadeo, U.S. Deputy Representative to ECOSOC from the United States Mission to the UN, listens as a participant speaks at the panel discussion. H.E. 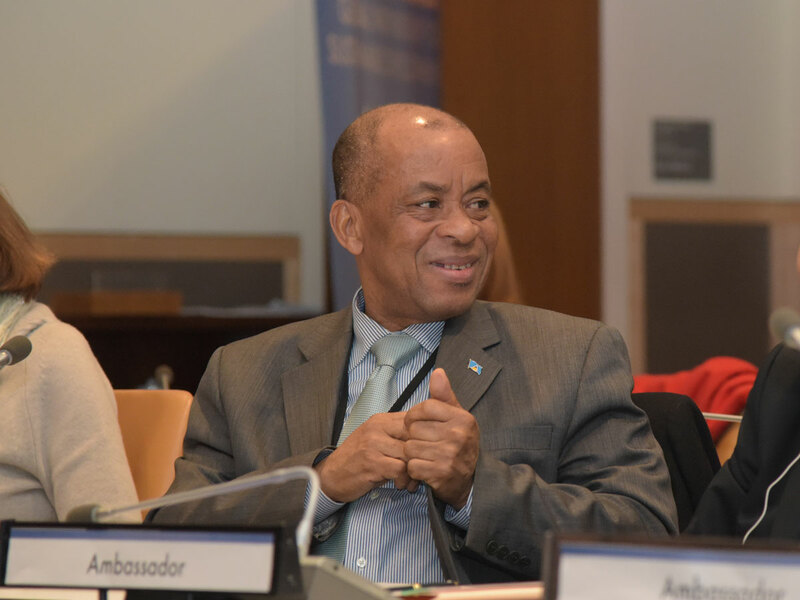 Mr. Cosmos Richardson, Ambassador of Saint Lucia to the UN, listens as a participant speaks at the panel discussion. H.E. 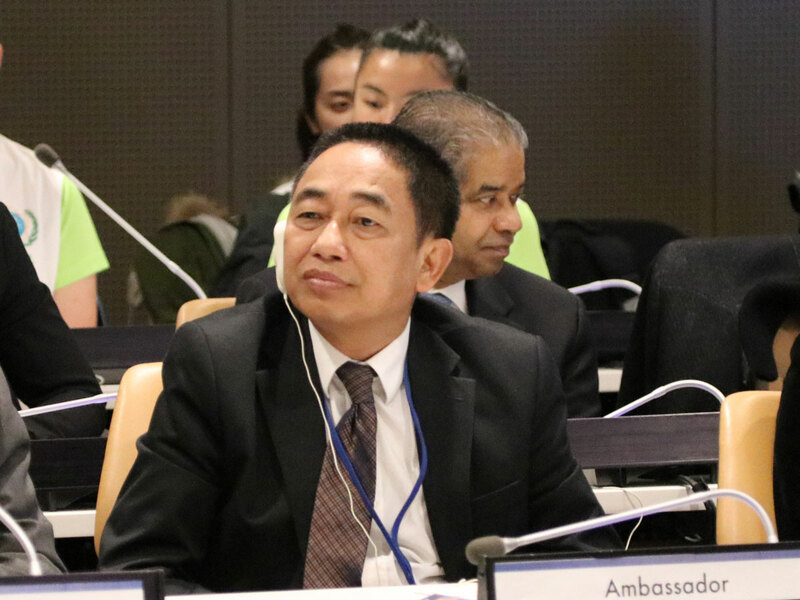 Mr. Sovann Ke, Deputy Permanent Representative of Cambodia to the UN, listens as Dr. Hong, Tao-Tze, President of FOWPAL, delivers a speech. H.E. 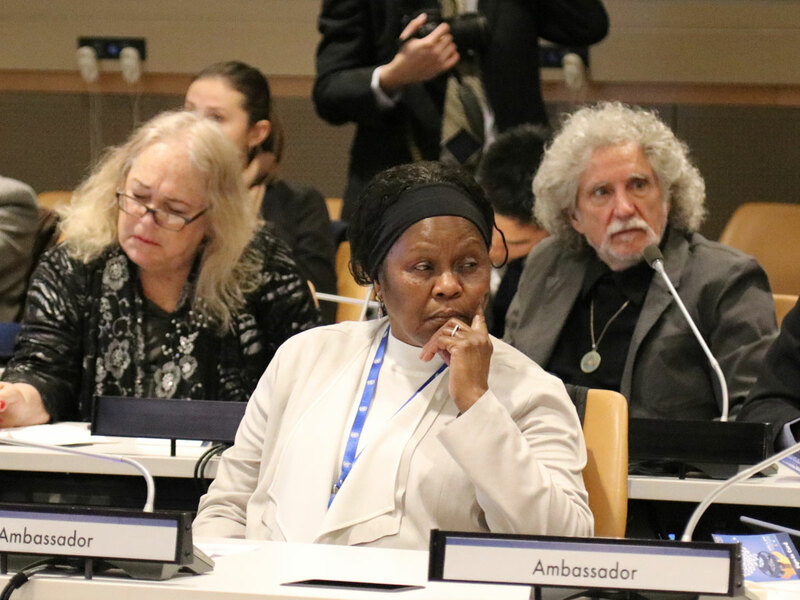 Ms. Ambroisine Kpongo, Ambassador of the Central African Republic to the UN, listens as a participant speaks at the panel discussion. H.E. 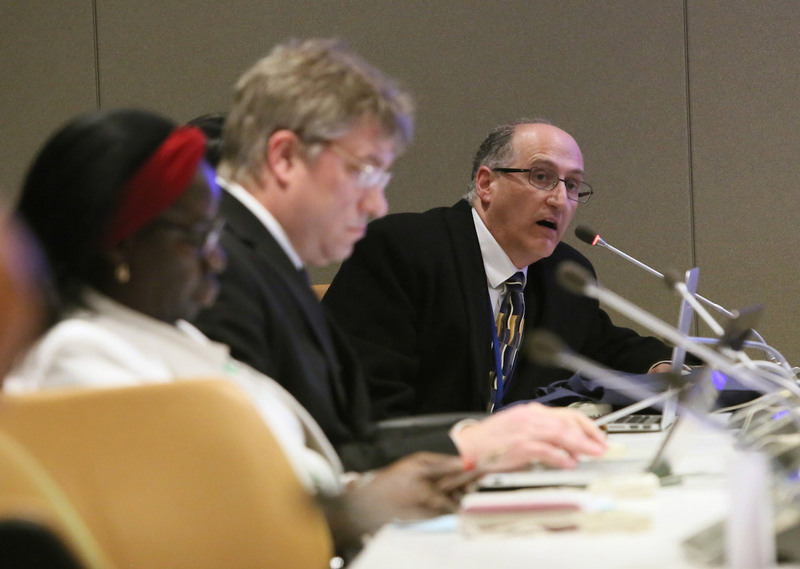 Mr. Bachir Saleh Azzam, Deputy Permanent Representative of Lebanon to the UN, listens as a participant speaks at the panel discussion. 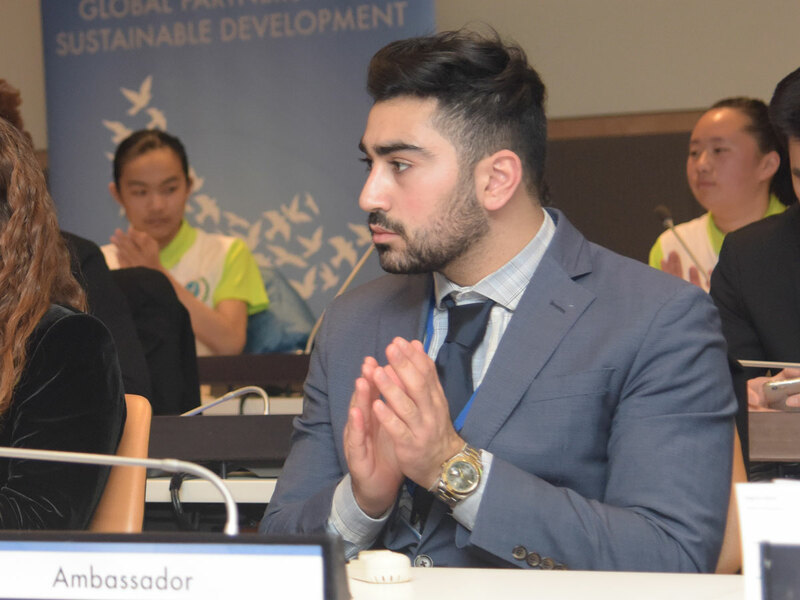 Mr. Jeffrey Makai, an advisor from the Permanent Mission of Lebanon to the UN, applauds before a participant speaks at the panel discussion. 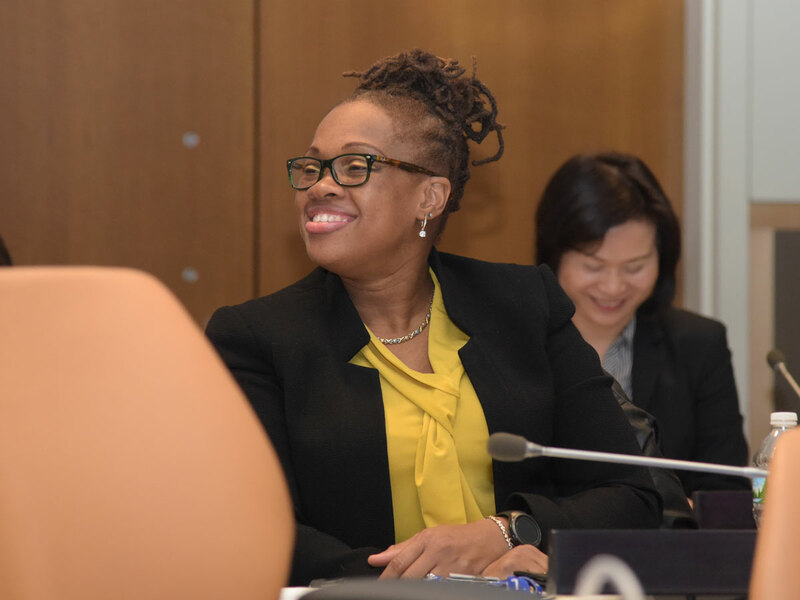 Ms. Samantha Roberts-Hodges, the executive officer in the diaspora affairs unit of the Consulate General of Guyana in New York, smiles as a participant speaks at the panel discussion. 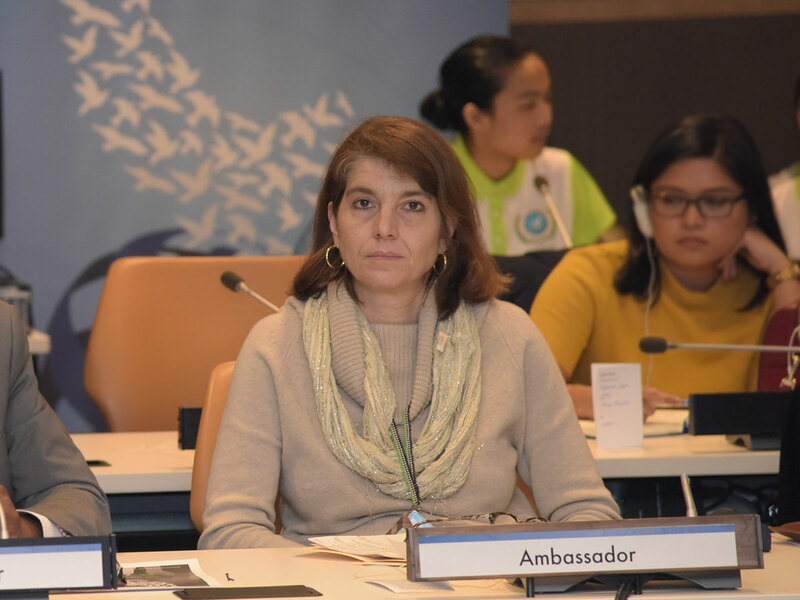 Ms. Ana Santos Hevia-Aza, an advisor from the Permanent Mission of Spain to the UN, listens as Dr. Hong, Tao-Tze, President of FOWPAL, delivers his welcome remarks. 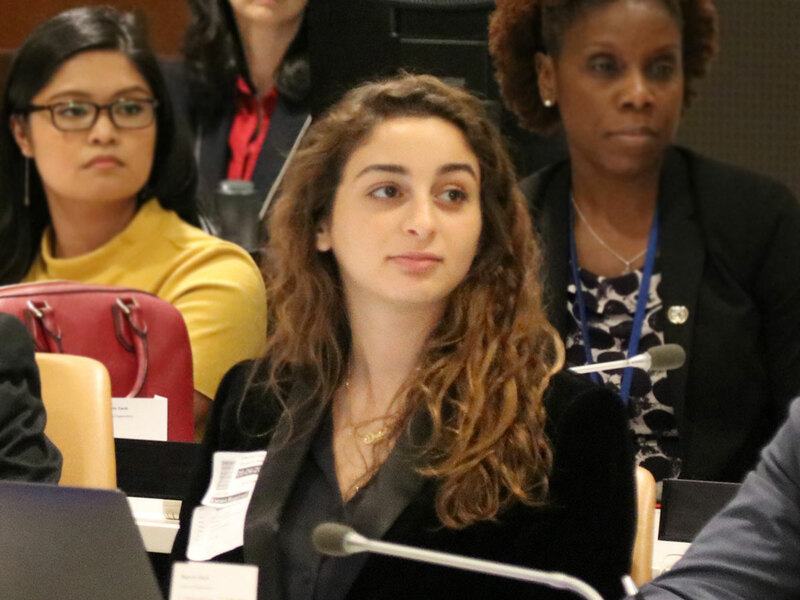 Ms. Nadine Mousallen (middle), a delegate from the Permanent Mission of Lebanon to the UN, listens as a participant speaks at the panel discussion. 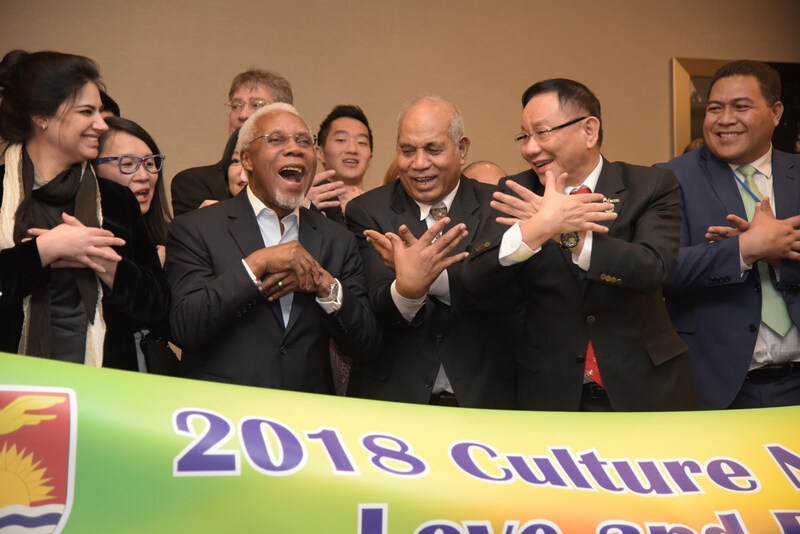 The Federation of World Peace and Love (FOWPAL) and the Permanent Mission of the Republic of Kiribati to the United Nations jointly hosted the “2018 Culture Night of Love and Peace” at the Westin New York Grand Central Hotel on April 5, 2018, spreading the seeds of love and peace. 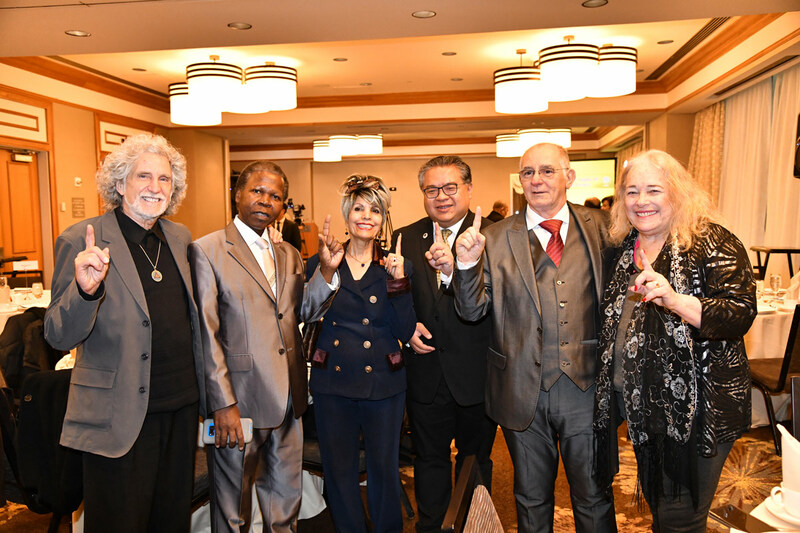 After the "Transforming the World: Global Unity and Sustainability" conference, distinguished guests from various countries came to visit the 2018 Love and Peace Cultural Feast. 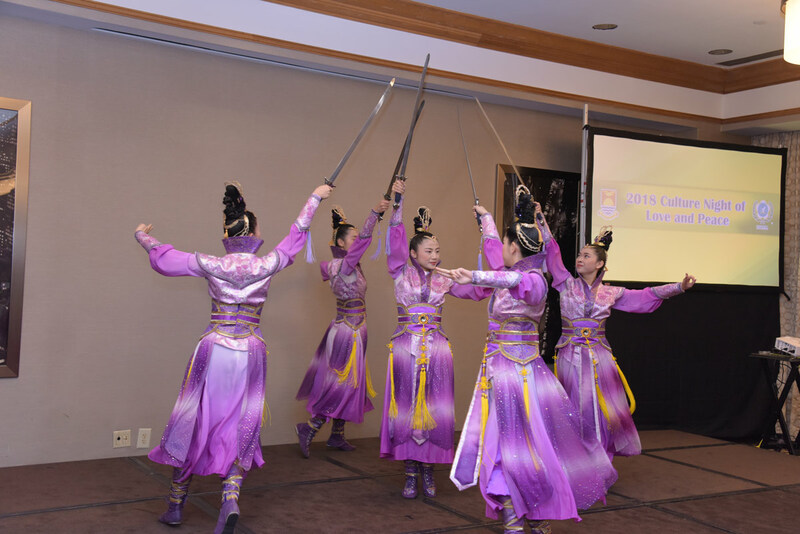 The banquet opened with a cultural show of sword dance performed by young FOWPAL members, symbolizing that the world will be filled with positive energy by turning the world around. 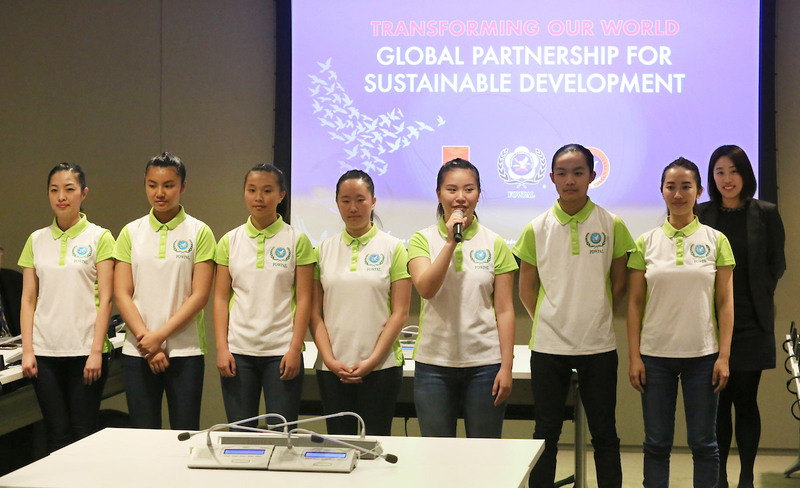 With the sincere contacts of the global partnership, the young FOWPAL members blew a beautiful melody with simple ocarinas, and the guests were moved and intrigued and eager to try. The FOWPAL young members performed as angels, who deliver messages of peace and they danced with the girls playing the ocarinas. 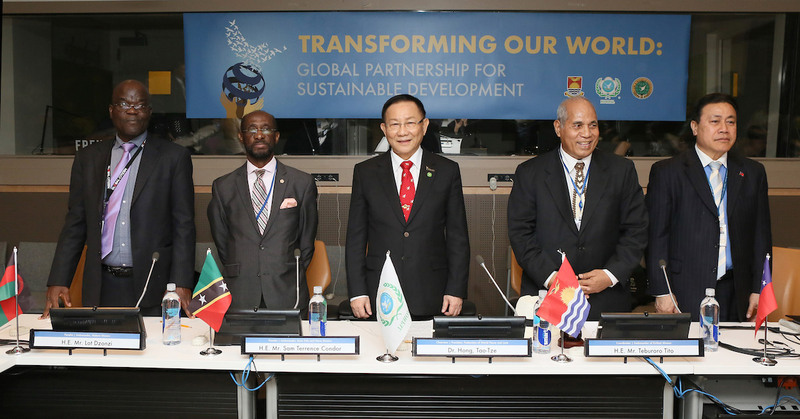 Pictured from left to right, H.E. 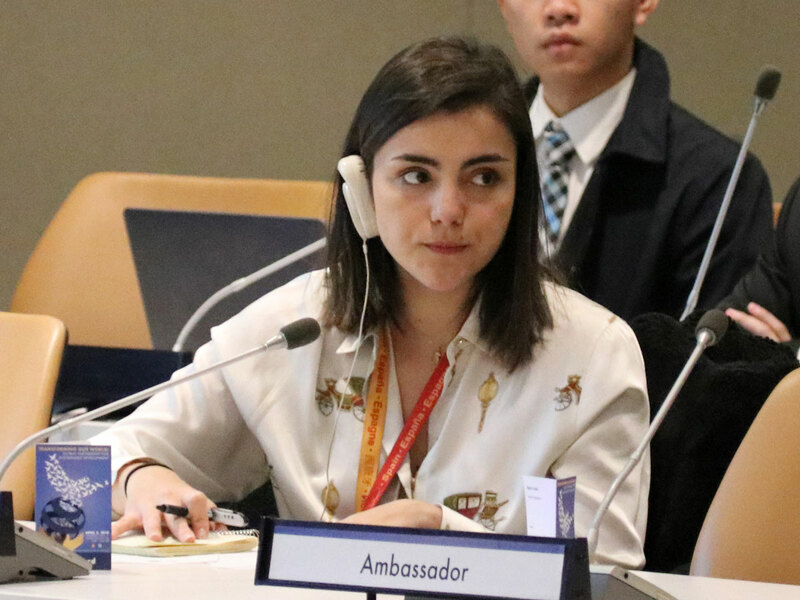 Ms. Mary Elizabeth Flores, Ambassador of Honduras to the UN; H.E. 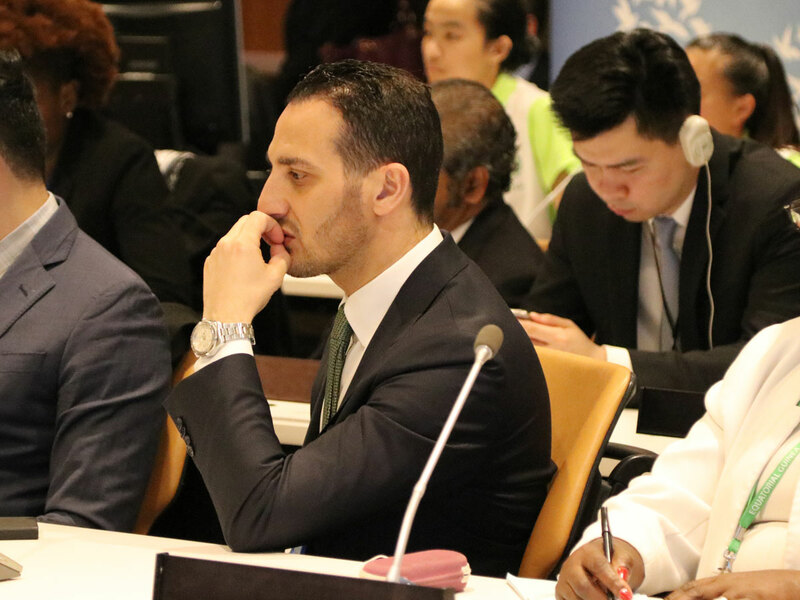 Mr. Jamal Fares Alrowaiei, Ambassador of Bahrain to the UN; H.E. 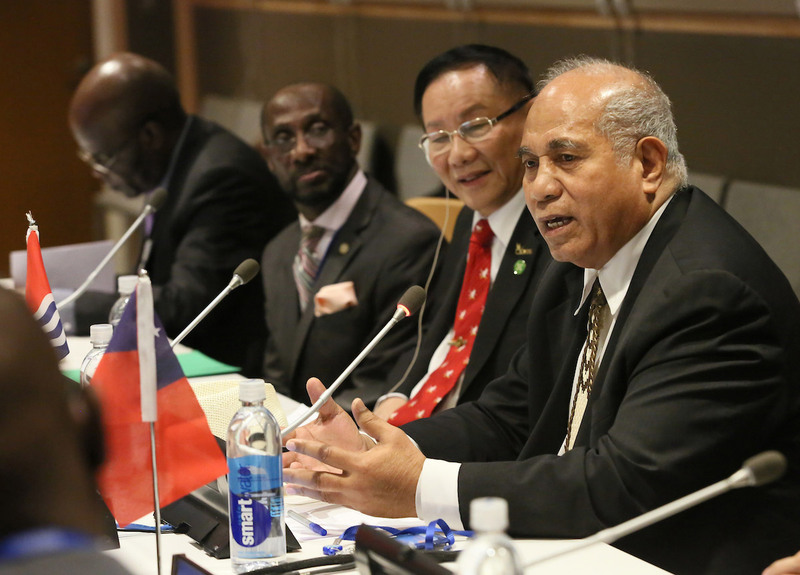 Mr. Ali’ioaiga Feturi Elisaia, Ambassador of Samoa to the UN; H.E. 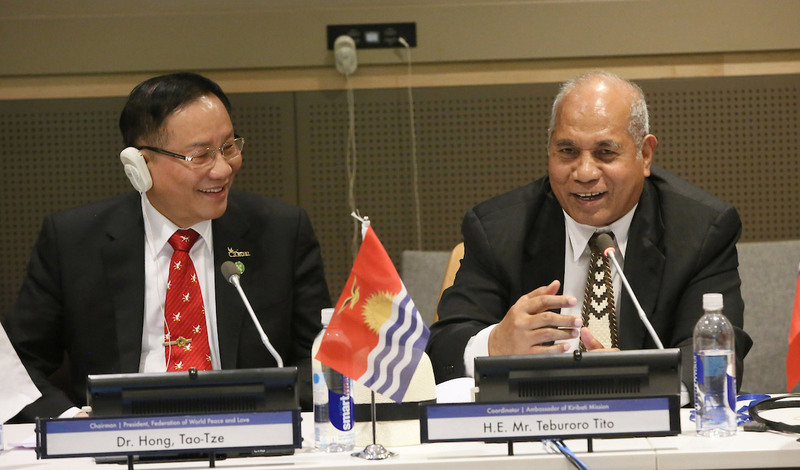 Mr. Teburoro Tito, Ambassador of Kiribati to the UN; Dr. Hong, President of FOWPAL; H.E. 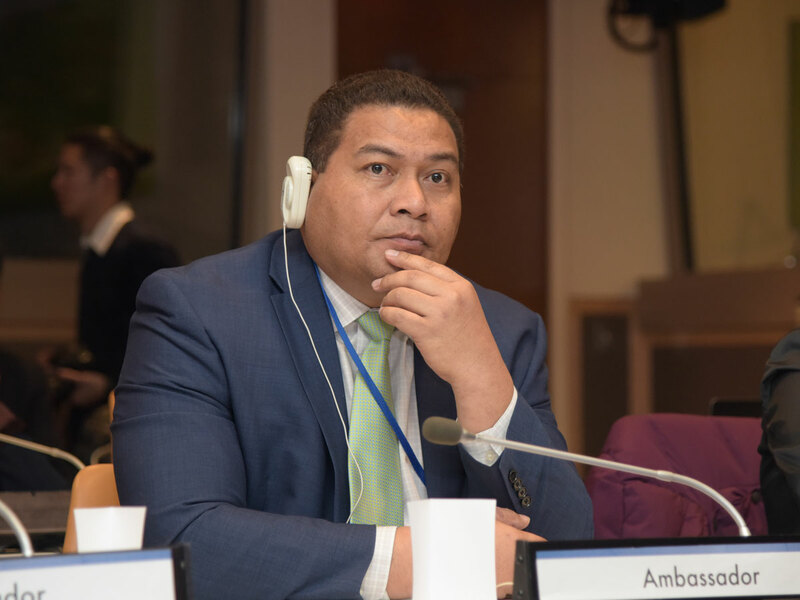 Mr. Samuelu Laloniu, Ambassador of Tuvalu to the UN; H.E. 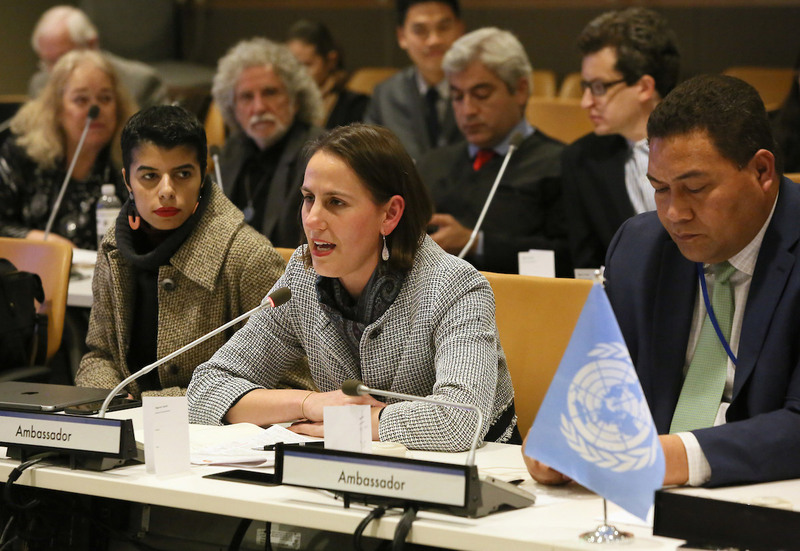 Ms. Ana Silvia Rodríguez Abascal, Ambassador of Cuba to the UN; Mr. Fred Sarufa Minister of Papua New Guinea. 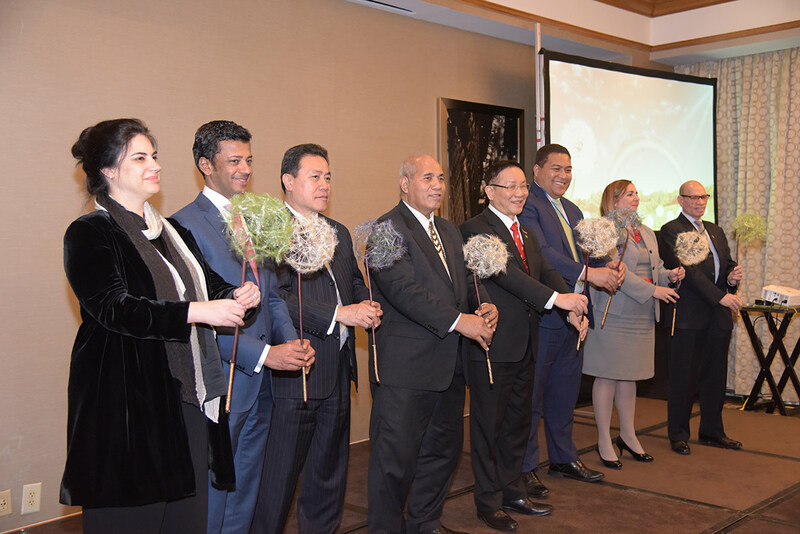 The ambassadors and distinguished guests held dandelions symbolizing hope. They made a wish for love and peace, allowing hope to spread. 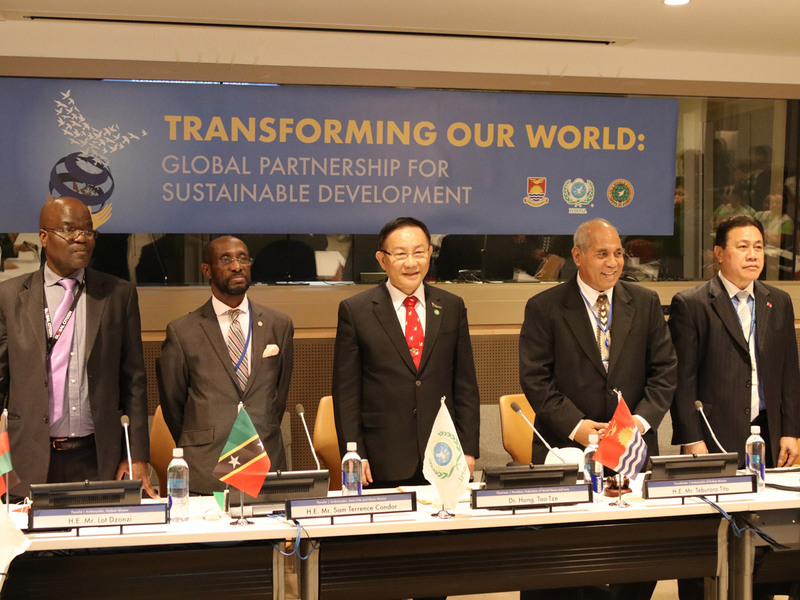 Pictured from left to right, Mrs. Keina Tito, First Secretary; Mr. Tukabu R. Tauati, Deputy Permanent Representative; H.E. 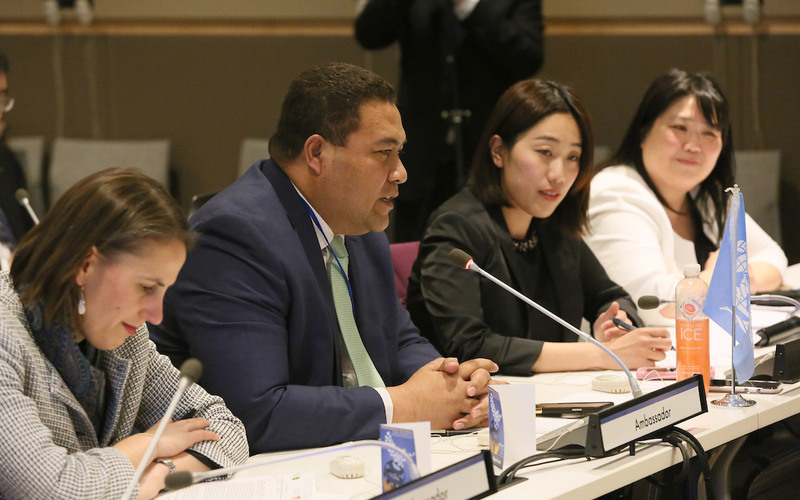 Mr. Teburoro Tito, Ambassador of Kiribati to the UN; Mrs. Taabita Bateriki Tauati, Third Secretary; Mr. Tearinaki Tanielu, Financial Officer and Secretary. 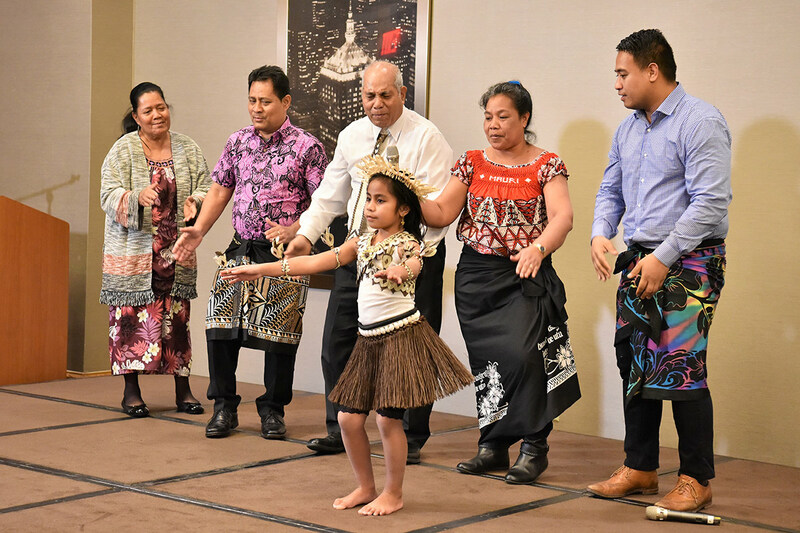 The daughter of Mr. Tukabu R. Tauati leads the adults to dance a Kiribatian dance. The climax of the dinner event came one after another. 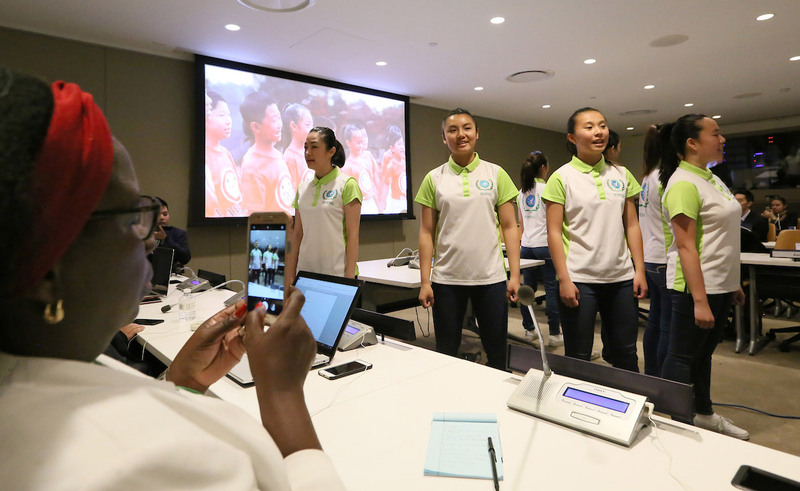 Everyone took out their phones to take pictures, and cultural exchanges brought people’s heart closer together. 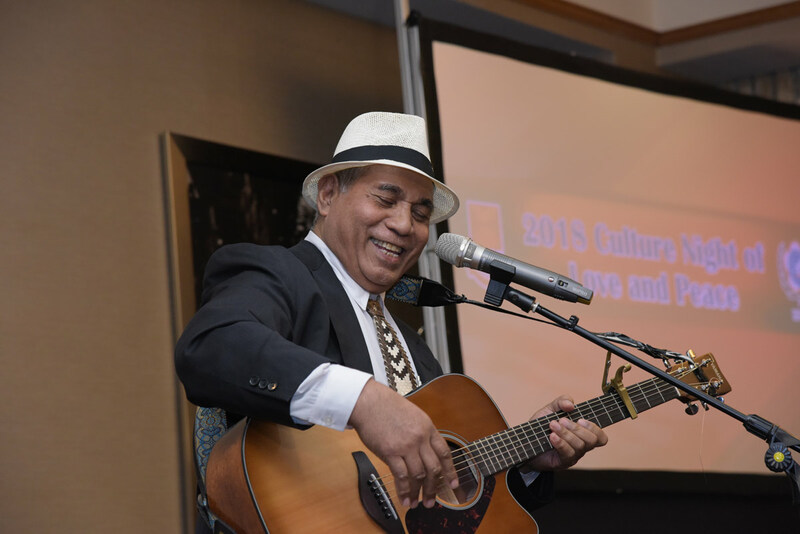 Ambassador Tito showed great humility as he accompanied himself on the guitar, singing songs in praise of brotherhood, peace, and love. 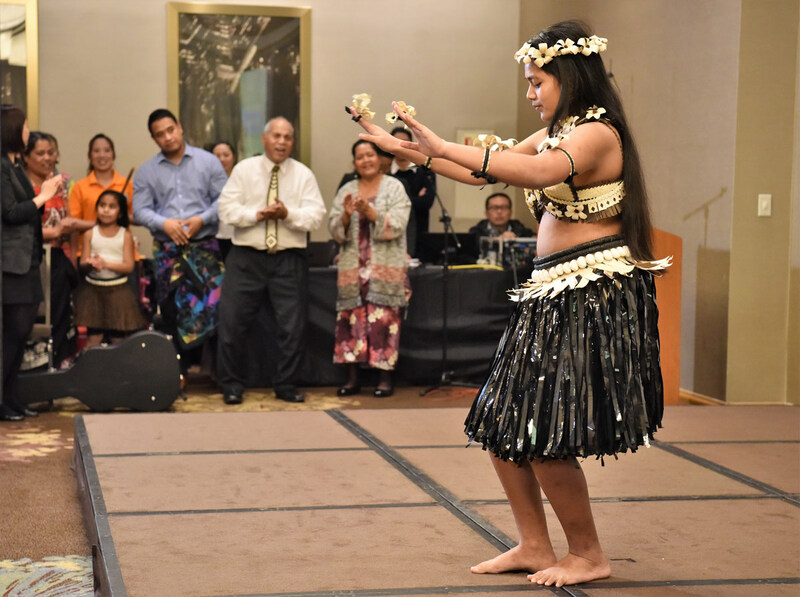 The ambassador's granddaughter brought brilliant dances and the audience felt the enthusiasm of the tropical Pacific countries. 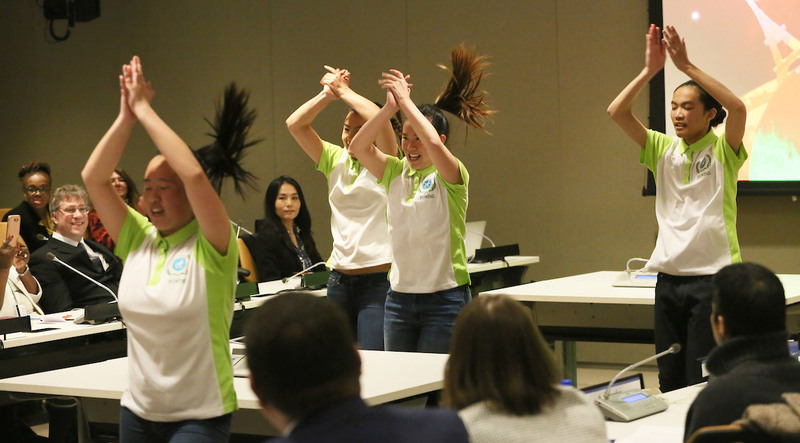 FOWPAL youth volunteers sang and danced, bringing songs such as “We are One World” and “Happiness is Everywhere”. Delivering happy energy to everyone. 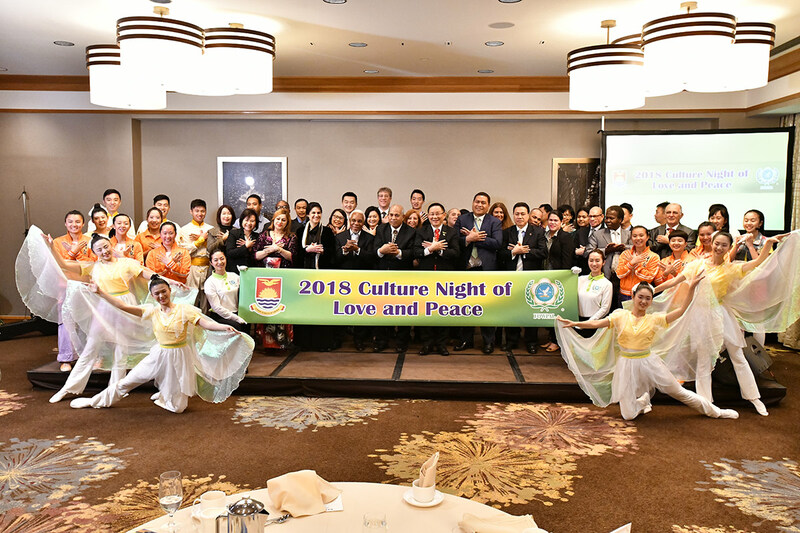 Diplomats from 10 nations and other honored guests celebrate "2018 Culture Night of Love and Peace"
Pictured from left to right, H.E. 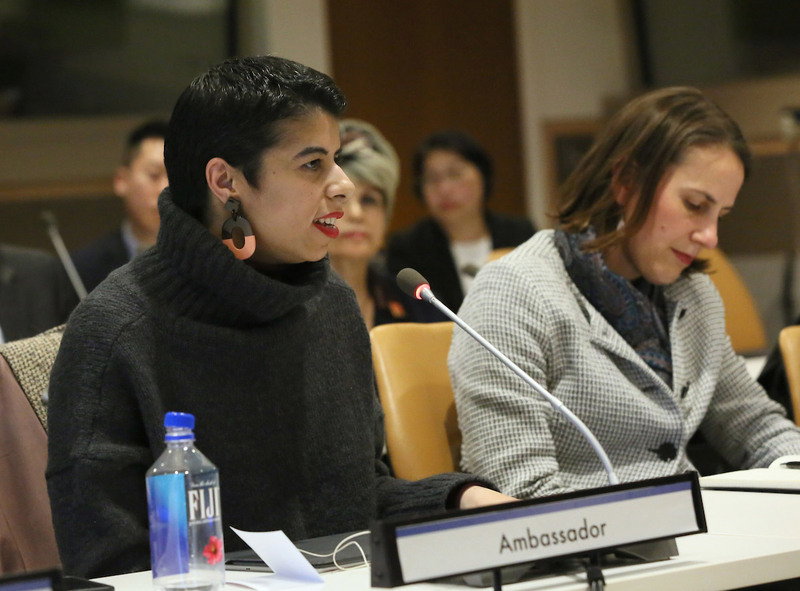 Ms. Mary Elizabeth Flores, Ambassador of Honduras to the UN; H.E. 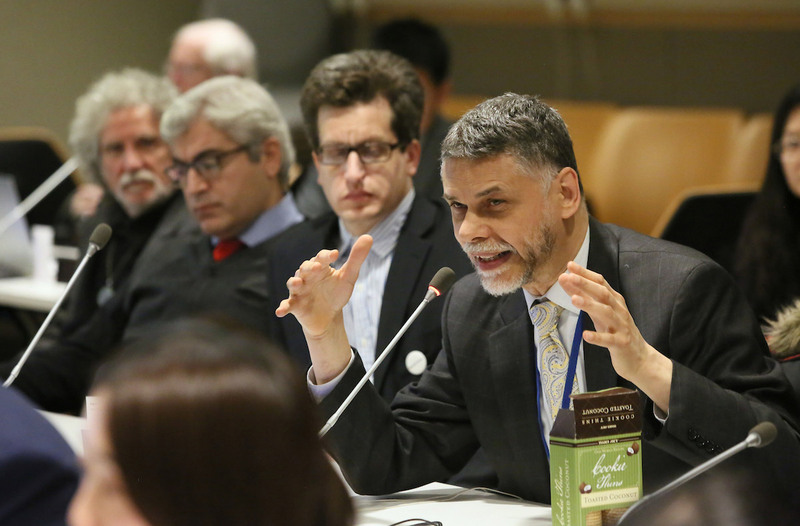 Mr. Ismael Abraão Gaspar Martins, Ambassador of Angola to the UN; H.E. 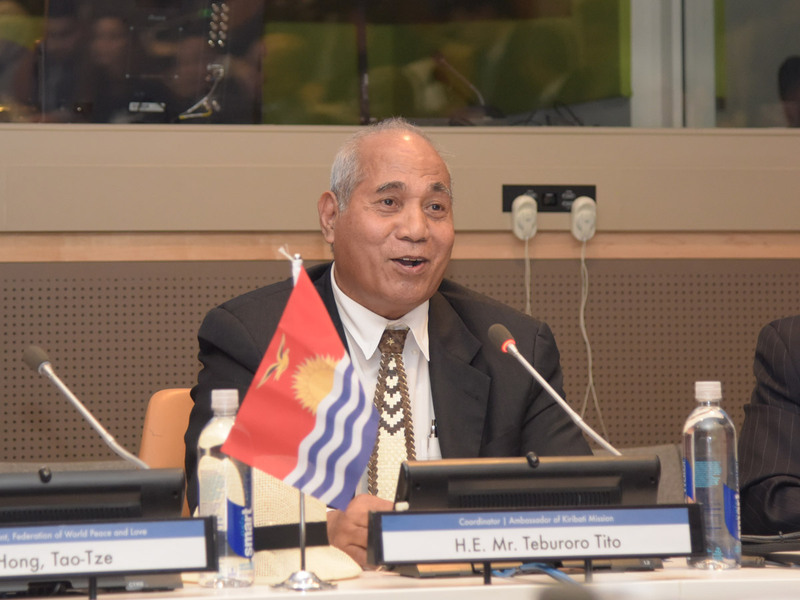 Mr. Teburoro Tito, Ambassador of Kiribati to the UN; H.E. 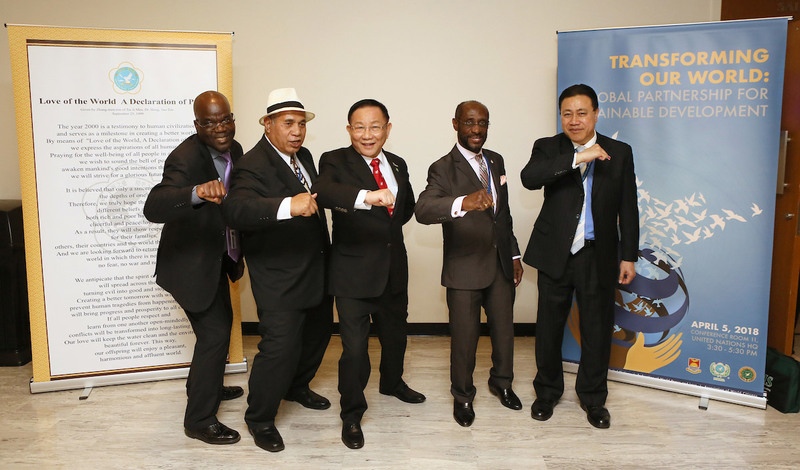 Mr. Samuelu Laloniu, Ambassador of Tuvalu to the UN; Dr. Hung, President of FOWPAL, teaches the ambassadors to make gestures for the dove of peace. The distinguished guests revealed a child-like smile.